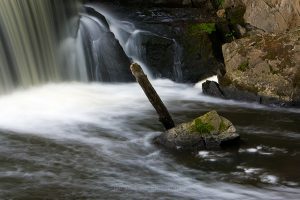 A long exposure photograph of the Crum Elbow Creek at Vanderbilt Mansion as it rushes past a worn-down tree branch that is stuck under a rock. 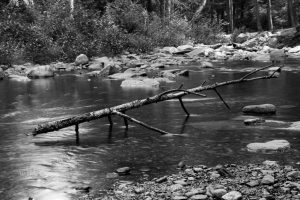 This shot is of a tree branch stuck in the Peters Kill creek at Minnewaska State Park in Kerhonkson, NY. 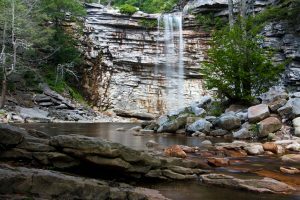 One of the highlights of Minnewaska State Park Preserve, a 22,275 acre preserve located in Kerhonkson, NY, is Awosting Falls. 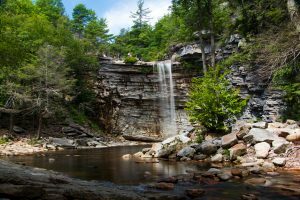 Accessed via the Awosting Falls Carriage Trail at Minnewaska State Park Preserve, the nearly 60 foot tall Awosting Falls is fed by the Peters Kill creek. 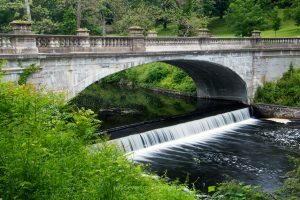 Taken in late Spring, this photo is of the historical White Bridge that spans the Crum Elbow Creek at the Vanderbilt Mansion National Historic Site. 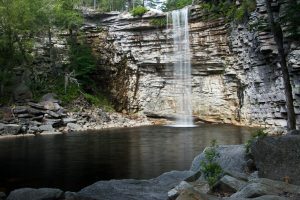 Standing at nearly 60 ft, Awosting Falls at Minnewaska State Park empties into a wide pool that is fed by the Peters Kill creek. 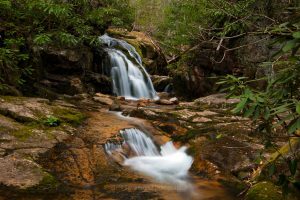 This long exposure of the third of four cascading waterfalls at the Blue Hole in Elizabethton, TN is from my trip there in the Spring. 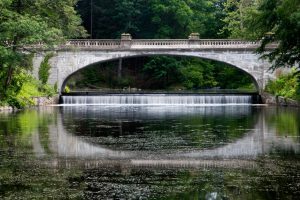 The historical White Bridge at the Vanderbilt Mansion National Historic Site in Hyde Park, NY was first constructed in 1897. 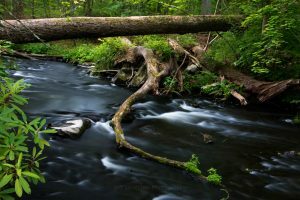 This 6 second long exposure photograph is of the Crum Elbow Creek at the Vanderbilt Mansion National Historic Site in Hyde Park. 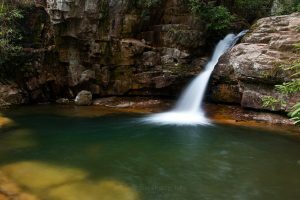 Another long exposure photo from my trip in April of the upper waterfall at The Blue Hole located within the Cherokee National Forest in Elizabethton, TN.